Great East Region President Rottner to EF: Boost EU Transport Links "Brussels-Strasbourg-Geneva+"
Home newsitems Great East Region President Rottner to EF: Boost EU Transport Links "Brussels-Strasbourg-Geneva+"
*Strasbourg/Press Club/Angelo Marcopolo/- Replying to an "Eurofora"s Question, the New President of Strasbourg's "Great East" Region, Jean Rottner, stressed the Importance of "European Corridors" in the Development and Valorisation of Transport LInks, particularly between the Cities which the most Host European, PanEuropean and/or International Organisations. >>> i.e., Potentialy Linking Together the Headquarters of EU Commission, EU Council, NATO, EU Court of Justice, EU Parliament, Paneuropean CoE, ECHR, EuroCorps, Shenghen, and several UNO's Bodies (particularly in Human Rights but also Economy, Telecoms, etc) as well as the WTO, ILO, a.o., throughout a kind of "Europe in the World" Pathway, Unique in the entire Globe. (With the Only Exception of the Washington D.C. - New York close links in the USA, in a lesser extend : f.ex. between IMF, World Bank's and UNO's Headquarters there). 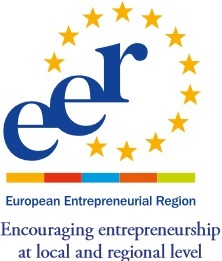 - President Rottner replied to "Eurofora"s Question Positively, in substance, mainly by Stressing, First of all, the great Importance that he gives for Strasbourg's "Great East" Region role in Transports, to what he named as "European Corridors" in general, as a matter of Principle. 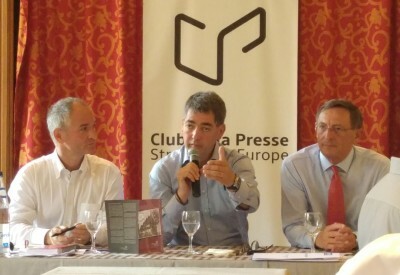 - Naturally, this goes, particularly, for the EU Corridor Linking to Brussels, which is of Major Importance, underlined the French Politician, (who was, for a Long Time, Mayor of Mulhouse City, facing Basel at nearby Switzerland, and, therefore, is an Ideal person also for the Brussels - Strasbourg - Geneva link evoked by "Eurofora" . Comp. Supra). Traditionally, Brussels can already be Linked by quite Good Railway transports to Strasbourg and Geneva, either through Paris (France) or through Frankfurt (Germany). But, in both cases, Luxembourg is Ommitted, and a Longer Zig-Zag becomes necessary, Westwards or Eastwards, (respectively). While, on the Contrary, a Real Brussels - Luxembourg - Strasbourg - Geneva Railway Link would be, in principle, Direct, and, thus, comparatively, much more short and Straight. + Moreover, the European Transport Corridors which are Interesting for us, (i.e. Strasbourg's new and much bigger, "Great East" Region) are "Multi-Modal" : I.e. they include, well beyond Airplanes and Railways, also Car Highways, Bus, River Ship Transports, etc., Rottner went on to add. ++ Last, but not least, for us it's Not a Problem at all if such Corridors might, eventually, be developped, Partly, at the One Side of Rhine River (i.e. in France), or at the Other Side, (i.e. Germany), as long as they are Inter Connected and Interoperable, facilitating "Complementarity", as he pointed out. 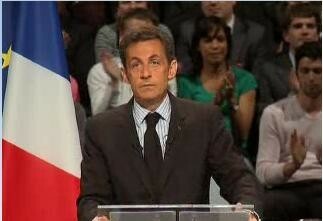 - "The Great East (new, Wider Region) is Strasbourg's Chance ! 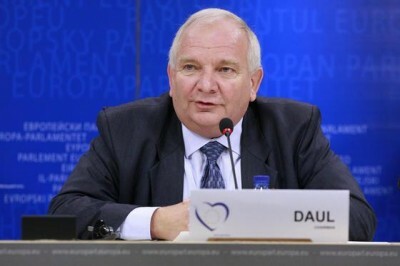 ", he characteristically stressed, mainly pointing at the Fact that, by InterLinking 5 European Countries, at EU's Core, (France, Germany, Switzerland, Belgium and Luxembourg), the "Great East" Region makes possible Manifold Transports' InterConnexions. 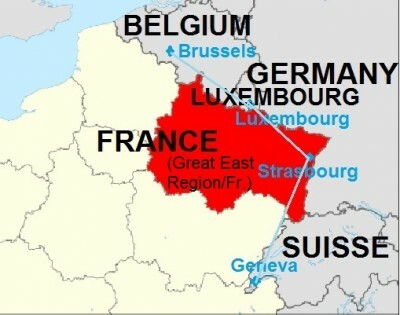 Thus, f.ex., anOther European "Corridor" for Strategic Railway and other Transport links crossing Strasbourg, notoriously is the Paris - Budapest "Magistrale" Plan, (already endorsed, in principle, by the EU, several Years Earlier), which Connects also Munich, Wien and possibly Bratislava, etc. From a Geo-Political point of view, very probably, its actual Realisation may depend from Possible Developments concerning possibly a closer European Integration towards the adjacent Western Balkan Countries, (since this Leads very Near to Zagreb, Ljubljana, but also Belgrad, etc), in the foreseable Future. This is Added, obviously, also to a Madrid - Paris - Strasbourg- (Berlin)-Prague - Warsaw - Minsk - Moscow Axis, throughout almost all the European Continent, which can, naturally also go via Madrid - Paris - Strasbourg - Berlin - Saint Petersburg/Moscow, serving, additionaly, as the Strategic Central Backbone of Various InterConnections heading towards Several different Directions Around it. 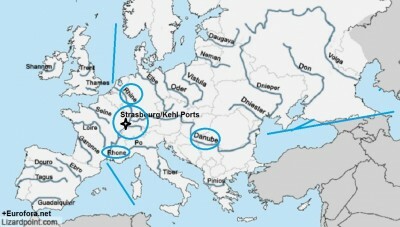 + Another kind, River Ship Transports' PanEuropean "Centrality" of Strasbourg's area, can bring together Rhone - Rhine - Danube Rivers, interLinking the Mediterranean to the Northern and Black Sea, (with Strasbourg:Kehl's Ports etc. : See seveal relevant "Eurofora"s NewsReports on that Specific Issue, of Strategic potential Importance also for EU's direct Energy Supplies). 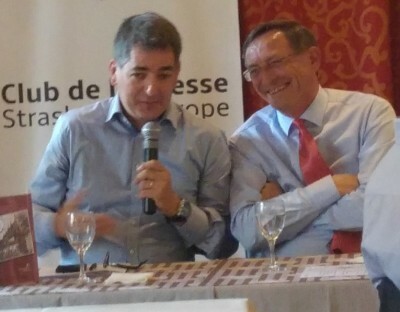 Significantly, Rottner was Together with Strasbourg's Euro-Metropole President Robert Herrmann, (confirming once again that they cultivate a Good Working Cooperation, despite the Center-Right and the Center-Left Political origin affiliations of each one of them, which had already started with Senator Kennel, former President of Lower Rhine's Department), who has already Expressed, previously, in Reply to anOther "Eurofora"s Question, during another Press Conference in the Recent Past, precisely, his Readiness to Consider Useful Comparisons and Develop New Relations between European/PanEuropean/International Non-Capital Cities, such as Strasbourg and Geneva, but also New York, Saint Petersburg, Sanghai, etc, (See, f.ex., at : ..., etc). 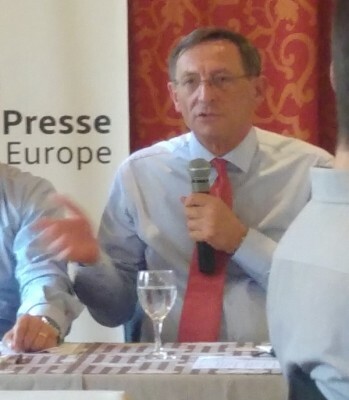 Herrmann, Today, Replying to anOther Topical "Eurofora"s Question on Key Transports' Choices, (See: ..., etc), also said, in Substance, that he personaly was in favor of Both Developing More and Better Transport Links, (from Airplane, Rail or Bus until Bicycle, including Electronic, but also, whenever Necessary, Car Highways, etc), while also Acknowledging that, sometimes, certain valuable Natural, Cultural and/or Historic Landscapes/Monuments, particularly of this Core European Area, between France, Germany and Switzerland, etc, should be Protected, as much as Possible, (including, f.ex. 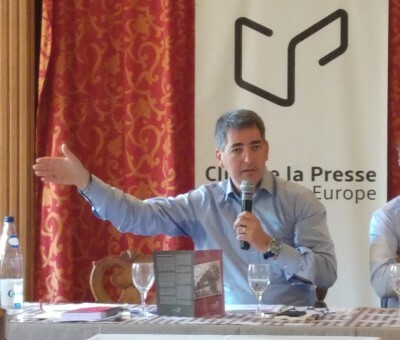 by the use of "PlexiGlass" Technologies, as it has been done in Luxembourg City, etc), on the condition that all sides accept to Negociate, as he said. (Something which, obviously, leaves open some still on-going Debates on Highway Projects, whose Plan's lines might have been irrevocably Drawn by a Private Company -sometimes Non-European- which has signed a Contract with the National State, even if it's also a Fact that it systematically includes some Crystal-clear Clauses about Nature, Culture, and Balanced concrete Choices, especially through adequate and sufficient Protective/Corrective Measures to imagine in each case. Comp., f.ex. : ... ).